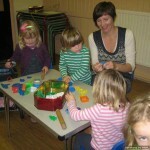 Tots & Tinies is a toddler and parent/carer group for up to 4year olds. It meets in the church hall (United Reformed Church Hall, Whiting Street, Bury St. Edmunds. IP33 1NR) on Mondays during term-time from 9.30 – 11.30am. There are lots of toys – sit-upons, pushchairs, pretend cooker, push-alongs etc. 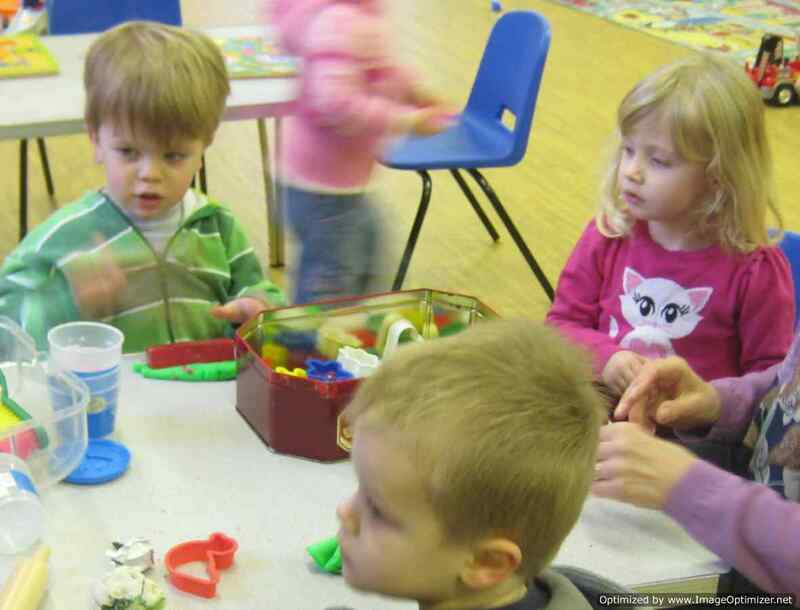 Activities include Playdough, cutting and sticking, colouring, a sing-song etc. Very often someone tells the children a story. 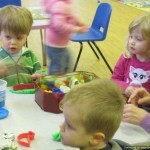 There are typically about a 15-20 children, supervised by their parent or carer, and a friendly atmosphere prevails. After the sing-song there is a drink and biscuit. To find out more ring Martin or Gwynn on 01284 705 814 or use the contact form below. We have had to introduce a waiting list as present numbers are very high so ring or use the contact form. You can of course drop in to see us on a Monday during term time to see if we can accommodate you and see what we are like.